“Benjamin McGuinness fulfils his dream of establishing successful businesses and gives jobs with a new home to some of life’s misfits, deep in the English countryside on a farm. Everything seems perfect and his workers are as close as family. A very warm welcome to the blog today and to my stop on the Death Dolls blog tour. Look at that cover, isn’t it fantastic? Regular visitors to damppebbles will know that I like my fiction dark and dangerous and oh boy, that cover SCREAMS dark and dangerous at me! And then you read the blurb…. Well, dear reader, I can confirm Death Dolls is riding high on my wishlist! I am delighted to welcome the author of Death Dolls, Simon Farrant, to damppebbles today as part of the blog tour celebrations. Simon is going to share some deep, dark secrets with us…. Hello, and thank you for inviting me onto your blog Emma! When I read what you wanted me to talk about, I did wonder if I could think of ten things… But we all have things about us that we forget that not everyone knows! 1 – I have a reptile pet! Before we got Skeddie I never thought that I’d have a reptile in a month of Sunday’s. We visited Bugtopia ‘zoo’ at Rutland Water, and I was mega impressed with the skinks. To the person who has never seen one before, imagine a snake with legs. Of course, me being me, I didn’t go for a Blue Tongued Skink as they are the more common skink pets. Skeddie is a Pink Tongued Skink. All she eats is snails! She is an ideal pet for me, as a chronic illness sufferer. She needs no walks or high maintenance, just a small amount of husbandry such as picking snail shells out of her home and love. 2 – I was born with 2 extra fingers! Well, not properly formed ones but little stubs off the side of each little finger. Gross! I’m told that when I was born the hospital tied cotton round each one and they died and fell off… yuk! 3 – The doctors told me that I couldn’t father any children. Now we have three! Reuben, 10, Gabriella, 8, Tobias, 3. 5 – My last job before I lost it due to the chronic illnesses was a HGV C+E driver. An articulated truck driver, which I did for Morrisons for over 10 years. In addition to the car and truck licences I also hold a full motorbike licence too! 6 – This is getting tricky now… My books are not the first time that I have had the written word published. Back in the 1990s I did work experience for university at the Sunday Express newspaper in London. I had a short article about fire safety in the home published. 7 – I once did a bungee jump and a static line parachute jump for charity. 10 – I am the eldest of 6 cousins. Maybe not the most grown up though. I feel we know so much more about you now, Simon. And no, number 9 does not count *sigh*. I must say, I am suddenly very keen for you to sell at least 2000 copies of Death Dolls (so you have to get the featured tattoo!). I’m off to buy my copy now…. I am an emerging author, a submission to a short story anthology kicked it all off. Black Cat is my first short story, and the hero isn’t maybe who you would assume. Originally from Doncaster, South Yorkshire and now Corby in Northants. I’m in my forties, married with three children. We share our home with a Bengal cat and a Pink Tongued Skink. I’ve been lucky enough to have had an interesting (well to me!) life. I have been a truck driver, university graduate and motorbike salesman amongst other things. My two novellas, Newdon Killers series, The Crucifix and Famously Ordinary are out now! The third book, Death Dolls is coming soon estimated launch date 22 August. Later this year a new series in a different genre Mystery / contemporary fantasy will be published. I have a Facebook page, Simon Farrant Official, I’d be pleased to see you there. “While attending a crime scene on the outskirts of Maidstone, DI Kay Hunter makes a shocking discovery. It is my absolute pleasure to welcome one of my favourite authors to the blog today to celebrate the publication of Gone to Ground; the sixth novel in her well respected and much-loved detective series. I am, of course, talking about the wonderful Rachel Amphlett and her utterly compelling Kay Hunter series. I love this series and will move mountains to make sure I read the latest release as soon as it’s available. There aren’t many other series I can say that about! I was thrilled to be able to share my review of Gone to Ground with you all on Sunday but if you missed it, here’s the link again (along with it’s five predecessors): 1. Scared to Death, 2. Will to Live, 3. One to Watch, 4. Hell to Pay, 5. Call to Arms and 6. Gone to Ground. What might motivate a killer? As I was writing book six in the Detective Kay Hunter series, Gone to Ground I realised halfway through that the person I thought was the murderer wasn’t, and another character came to light who had a lot more motivation to do the evil deeds I was uncovering. Motivation is essential to a good police procedural. It doesn’t matter if they’re one of the good guys, or one of the bad guys. Everybody has motive for what they do. It sounds so simple, but as people we’re a complicated mix of emotions and traits and it’s really important to me as a writer and reader that motives are believable. Even characters who some might describe as “minor characters” have a motivation that drives them. That person who tells Kay a white lie to protect themselves or casts doubt on another aspect of the investigation to prevent a sordid part of their past being exposed – it’s all motivation. My antagonist in Gone to Ground is motivated by revenge. However, although I might start with revenge as a motive, I then delve into that a little further in order to develop the character and make that motivation believable. Why does our killer seek revenge? What has been done to that character that someone has to die? Meanwhile, my protagonist, Kay Hunter, is obviously motivated to catch the killer, but she’s also driven by the need to prove herself to her colleagues and to her superiors. She’s in a new role and juggling a lot of other tasks on top of her day-to-day duties and we see her motivations shift as the story unfolds. I can’t wait to share Gone to Ground with you to see if you can spot the killer – these motivations paint some dark and twisted reasons why someone would be a murderer, and all of them are valid! Excellent post, thanks so much Rachel. I have to confess that I wasn’t able to spot the killer, despite having my eagle ‘crime fiction reader’ eyes on the hunt for the culprit from the opening pages! Hello my bookish friends. You nearly caught me out there, I was convinced Sunday was the last day of June! It’s currently Friday evening and I had sat down to a lovely chilled glass of wine after a busy week, only for the penny to drop – and cue one chilled out Emma dashing from the sofa ‘a là comedy moment stylee’ and flinging open the laptop. It’s true, I could have left posting until Sunday but that’s not how these things work and I would have been waaaaaay too twitchy. But it’s OK, everything is OK…phew! A very warm welcome to June’s #CaseClosed post and for the first time, a #20BooksofSummer update. June has been an odd month at damppebbles HQ. I’ve been reading like crazy but the blog has been relatively quiet. I’ve even read two books this month that I haven’t (shock, horror!) reviewed. What has happened to me?! Plus I can’t forget to include the two books I have chosen not to review; a short collection from a well-known author and a crime thriller. Not off to the best start but I hope to improve on that during July. 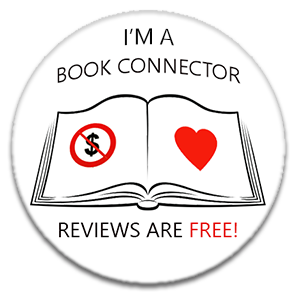 I have a couple of books coming up that I would like to get reviewed for publication day, along with ONE blog tour read. Yup, just the one. Nothing scheduled for August at the moment so I’m feeling positive – I CAN DO THIS! damppebbles blog tours has the MOST exciting week ahead. I have organised four absolutely cracking blog tours next week; three starting on Monday and one starting on Thursday. If you’re not already on my blogger database then please do sign up. And if you’re a crime author looking to promote your book then maybe I can help ➡️ damppebbles blog tours. Which leaves only one thing left to do. My book of the month for June is……. So there we have it! I can’t wait to find out what my book of July will be (although I do have a sneaking suspicion. I won’t say any more at this point!). That’s it from me for this month. Make sure you join me on Friday 6th July as I have a rather fabulous cover reveal to share with you. It’s an Orenda Books book, it’s written by Steph Broadribb and it features a certain bounty hunter (girl crush swoon!). Don’t miss it! “Called in to consult after a young woman disappears, Tracy Crosswhite has the uneasy feeling that this is no ordinary missing-persons case. When the body turns up in an abandoned well, Tracy’s suspicions are confirmed. Estranged from her family, the victim had balked at an arranged marriage and had planned to attend graduate school. But someone cut her dreams short. I am delighted to welcome you to the blog today and to my stop on the A Steep Price blog tour. A Steep Price is the sixth book in the Tracy Crosswhite series written by bestselling author Robert Dugoni. To celebrate the book’s release earlier this week I have a fantastic guest post to share with you today about Robert’s path to becoming a full-time writer and the obstacles he had to overcome. I knew long before I became a lawyer that I wanted to be a writer. I just needed the courage to pursue that dream. I come from a family of compulsive overachievers. I have nine brothers and sisters. Growing up as the middle child I watched my siblings choose their career paths – doctors and pharmacists and accountants. My siblings were all science oriented, but I was always different. I’ve always wanted to write novels. That was my dream since I was a young boy. My mother was an English teacher out of college and had terrific books around the house that I gravitated to. I read The Great Gatsby, The Old Man and the Sea, Of Mice and Men, To Kill a Mockingbird, and many other classics. As I got older I recall reading, All the President’s Men in one day. I read books like Lonesome Dove, A Prayer for Owen Meany, The Great Santini, and many others. These inspired me to want to tell stories. When my high school basketball career fizzled I got the best advice of my life from the most unusual source. The basketball coach told me while cutting me from the team that the journalism instructor mentioned that I could really write, and he suggested that writing might be a better path for me. I remember leaving his office and feeling relief. I remember being excited to get the chance to write, and to have people read my articles. So I became the editor in chief in high school and moved toward a career in journalism at Stanford University. Again, however, my peers were all heading to professional school and I felt pressure to join them. I’d ruled out medicine, but I thought I could go to law school, get a degree, and put that in my back pocket while I pursued a writing career. It didn’t work out that way, at least not right away, but the passion to tell stories never left. I found different outlets. I pursued acting and landed roles in theatres all over the San Francisco Bay Area. Those ten years instilled in me a desire to not give up on my dream to write. When that desire hit me hard again in my thirties, I pursued it without hesitation, but a lot of trepidation. I was married with a young son when I left the practice of law and all the security a regular salary provided to take on a new adventure. I started with legal thrillers, something I first started to think about in law school when I read Presumed Innocent. Scott Turrow and John Grisham exploded onto the market with best selling legal thrillers. It seemed a natural fit for a lawyer looking to start a writing career. There were a lot of stops and starts – mostly stops – along the way, but I fell under a lucky star when I reluctantly attended a party and met an agent from the Environmental Protection Agency. Together we wrote The Cyanide Canary, a 2004 Washington Post best book of the year selection. I then created the character David Sloane, an attorney in San Francisco seemingly unable to lose a case. That story became The Jury Master. Four more novels with David Sloane followed. I then created Tracy Crosswhite and wrote My Sister’s Grave which became a runaway bestseller in half a dozen countries and has sold more than a million and a half copies. Just recently I had a chance to write the story I grew up reading as a young boy, the novels my mother used to hand to me. The story came to me in bits and pieces, but when I had the character, the plot came in a wave, and I found myself getting up in the middle of the night to write The Extraordinary Life of Sam Hell. It is a story of a man looking back on his life with Ocular Albinism. He has red eyes. It is a story of love, of faith and of hope that reminded one reviewer of the early works of John Irving. It’s taken me nearly twenty years to reach my dream of telling stories fulltime, but it is a journey I would not trade for any other profession in the world. Thank you for joining me today Robert and sharing your road to becoming a full-time writer. It’s always fascinating to see the dedication and drive of a writer; that desire to write, no matter what. Robert Dugoni is the critically acclaimed New York Times, #1 Wall Street Journal and #1 Amazon Best Selling Author of The Tracy Crosswhite series, My Sister’s Grave, Her Final Breath, In the Clearing, and The Trapped Girl. The Crosswhite Series has sold more than 2,000,000 books and My Sister’s Grave has been option for television series development. He is also the author of the best-selling David Sloane series, The Jury Master, Wrongful Death, Bodily Harm Murder One and The Conviction, and the stand-alone novels The 7th Canon, a 2017 finalist for the Mystery Writers of America Edgar Award for best novel, The Cyanide Canary, A Washington Post Best Book of the Year, and several short stories. He is the recipient of the Nancy Pearl Award for Fiction, and the Friends of Mystery, Spotted Owl Award for the best novel in the Pacific Northwest. He is a two time finalist for the International Thriller Writers award and the Mystery Writers of America Award for best novel. His David Sloane novels have twice been nominated for the Harper Lee Award for legal fiction. His books are sold world-wide in more than 25 countries and have been translated into more than two dozen languages including French, German, Italian and Spanish. I am thrilled to welcome you to damppebbles today and to my stop on the Our House blog tour. Our House is the thirteenth novel from the pen of author, Louise Candlish, and was published by Simon & Schuster (UK) on 5th April 2018. Now, Louise Candlish is a new author to me (yes, I know what you’re thinking; thirteen books – how is that possible?!) but I am currently reading Our House and oh my gosh, what a thoroughly enjoyable read it is! The characters leap off the page at you, I’ve had many ‘OMG, NO! !’ moments and I cannot wait to see what the shocking twist is that EVERYONE is talking about (I don’t have a clue what it could be, by the way!). I’m a huge fan of this book and was deep in Our House when the BBC dramatisation aired. The double-fronted house that causes all the trouble for Fi and Bram in Our House is not dissimilar to the one Roger and Arabella Yount live in in Capital – grand enough for south London, yes, but having accrued a value its builders could never have dreamed of. ‘The houses had become so valuable…and so expensive…that they had become central actors in their own right.’ Insane and terrifying. Pretty much every thriller since 2012 owes a debt to Gillian Flynn’s smash hit, and the element that excited me was the husband and wife narratorial double act. Mainly the husband: Nick’s is the strongest voice, and the cheekiest – he even tips us off to his own untruths (‘that was my fifth lie to the police’). I see Bram as the key narrator of Our House. Because Fi is in the dark, the reader often knows more than she does and therefore the bond with Bram is stronger. That’s if he’s telling the truth, of course. Just about any Agatha Christie could be said to have inspired my writing, because she’s been a favourite since childhood, but I’ve chosen Peril at End House for its property and inheritance themes (there’s even a re-mortgaging). As one of the characters remarks, ‘I always knew something bad would happen in this house’. I also think this is a fantastic title, one of her best. ‘Peril’ is a great word. I love every word Sarah Waters writes, every corner of every south London interior she creates. I live quite close to Champion Hill, where the house in The Paying Guests is set. Rooms must be let to Mr and Mrs Barber ‘if the house were to be kept going’ and there are so many dramatic possibilities in the idea of our hanging on to our home, whatever it takes. In Our House, Bram and Fi are separating and neither has a hope of buying the other out. They must share it – a plan that leads to tragedy. The south London suburb in Our House has a fictitious name – Alder Rise – but local readers will probably recognise its real-life equivalents. It’s definitely not Wimbledon, I can tell you that, and in any case SW19 already has a story of suburban murder and mishap that none of us can top. The opening of The Wimbledon Poisoner is a tour de force: Henry Farr decides he wants to kill his wife, remarking, ‘Being a convicted murderer had the edge on being a solicitor’. Savagery in the suburbs – and that’s just the humour. Thank you for joining me today, Louise and for giving us a sneak peek into your inspiration for the fantastic Our House. Louise Candlish was born in Hexham, Northumberland, and grew up in the Midlands town of Northampton. She studied English at University College London and lives in Herne Hill in South London with her husband and daughter. She is the bestselling author of eleven novels, including The Swimming Pool (2016) and The Sudden Departure of the Frasers (2015), Her new novel Our House, will be published in April 2018 by Simon & Schuster in the UK and in August 2018 by Berkley in the US. The Sudden Departure of the Frasers has been optioned for TV by Hartswood Films. Besides books, the things Louise likes best are: coffee; TV (so much TV, too much, probably); cats and dogs; salted caramel; France (especially the Ile de Re); Italy (especially Sicily); tennis; soup; Vanity Fair magazine; ‘Book at Bedtime’; lasagne; heavy metal; ‘The Archers’; driving towards the sea (but not into it); anything at the Royal Opera House; white wine; Reese’s Peanut Butter Cups (or, failing that, a Starbar).